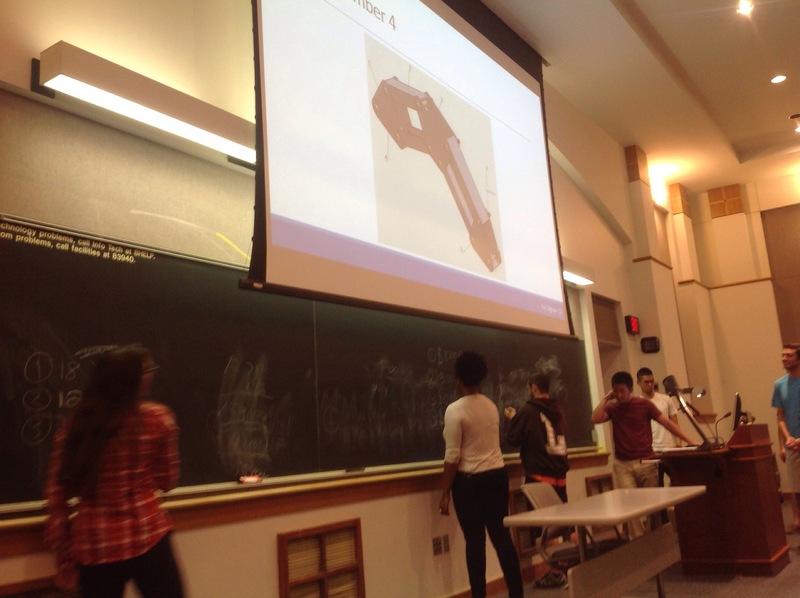 On Wednesday, we had our IPD presentation on bill of materials. We need to describe what we are working on, the concept we have, then focus on how the bill of material gone be, then the next step. 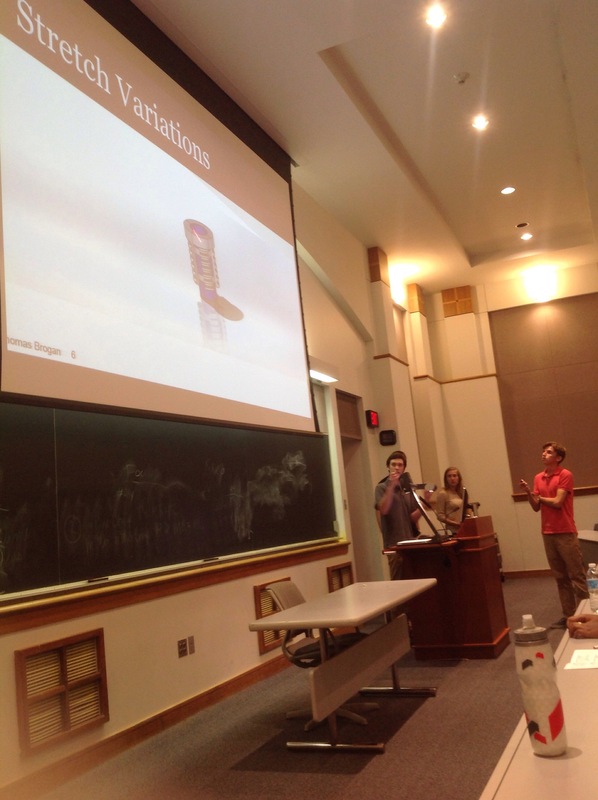 On the following picture, our team is answering questions about our concept. Our project is to build a portable cell stretch. The second group is working for TE to build a cheaper robot, on the following picture, they are asking people to play a game on guess the price of the materials. The third group is building a fish measuring machine. 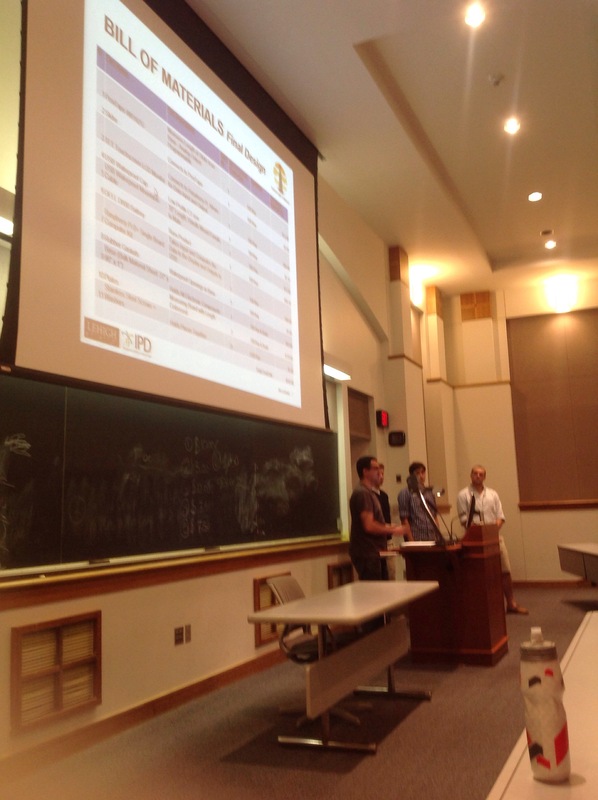 The following picture is the group describing their bill of material.